Clean (and specifically renewable) energy is steadily improving its global share. However, finite availability of fossil fuels and the growing effects of climate change make it an urgent priority to convince the industry and governments to incentivize investment in the renewable energy field and to make it more attractive by decreasing the capital cost. Until recently, uncertainties in funding limited renewable energy development, especially in the US. That limitation has been one of the barriers to progress. Another limitation of many renewable energy systems is the variability in their output, which makes them unsuitable for baseline power production. Therefore, fossil fuels are still the dominant source of energy globally. The estimated US energy consumption in 2015 relied heavily on fossil fuels which generated about 82% of US primary energy. The share of solar energy in 2015 US energy consumption was just 0.43%. This is a disappointingly small share for a zero carbon source of energy. Nuclear energy as another clean energy source has a small share as 8% of the total US energy consumption. Although it is one of the most reliable/stable and low carbon sources of energy, the nuclear power industry is currently facing several challenges. First, nuclear generated electricity is not cost-competitive with other types of generation. Second, there is a diminished availability of cooling water to reject heat from large power plants. Third, the penetration of solar and wind generation systems into the electrical power market is producing significant fluctuations in the demand for nuclear generation. Open Air-Brayton systems are one of the solutions here since the ultimate heat sink for nuclear supplied power is the atmosphere, so a more direct method of dumping this heat would be useful. An open Air-Brayton system can also provide a great deal of flexibility in adjusting power plant electrical output without significantly ramping reactor power output. This dissertation develops a common framework for understating and improving the solar and nuclear clean energy system components which are based on Brayton cycles. 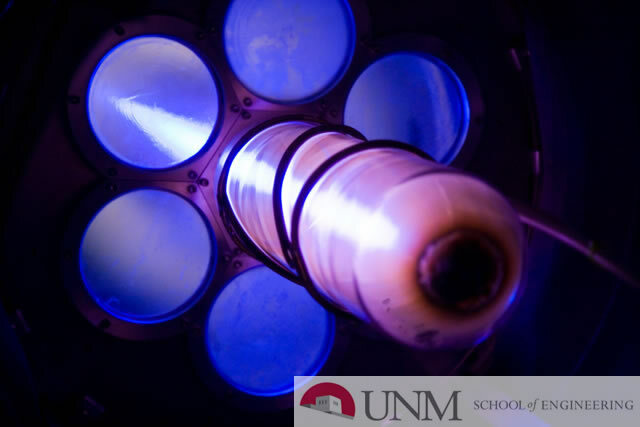 For this purpose, experimental and numerical studies of solar and nuclear systems are conducted. The open air Brayton cycle of a solar chimney power plant is studied in this investigation in different cases as a solar power cycle. Additionally, the air Brayton cycle of a nuclear power plant is considered for several different cases, including a combined nuclear-solar cycle. Air flow is driven by buoyancy in the open air Brayton cycle of a solar chimney power plant system (SCCPS). In SCPPS, the energy of buoyant hot air is converted to electrical energy. SCPPS includes a collector at ground level, covered with a transparent roof that collects the solar radiation, which heats the air inside and the ground underneath. This dissertation proposes and studies new modifications and optimizations to increase the thermal efficiency of the SCCPS, as well as combining SCCPS cycles with other clean sustainable cycles. The nuclear-combined air Brayton cycles are studied with the focus on producing low-carbon energy and combining pressurized water reactor and small modular reactor cycles with another thermal cycle, leading to increased combined efficiency. In this manuscript, chapters are organized with respect to the type of their thermal cycle. Part I, includes three chapters focusing on simple/single Brayton cycle. Part II contains two chapters regarding combined Brayton cycles. Each chapter in this investigation is based on at least one published or accepted/ready to publish article, and which have undergone peer review. The citation for each original source manuscript is included as a footnote on the bottom of the first page of each chapter. Therefore, each chapter is in the format of a journal article, including: an introduction, motivation and background, theory, numerical approach, experimental approach, results and dissections, future work and conclusion. The references and acknowledgments associated with each article are provided at the end of each chapter. All achievements of this work are listed in Appendix A. Part I, chapter one describes non-deterministic computational fluid dynamics (CFD) and conjugate heat transfer (CHT) study of a solar chimney power plant. The initial CFD analyses were validated against the data from the only available large-scale prototype (Manzanares solar tower). To evaluate our CFD analysis beside code verification, an analytical model was developed based on Navier-Stokes equations coupled with the equation of state and using the Boussinesq approximation. The second chapter of this research focuses on evaluating the patented idea of having a double-inlet collector in SCPPS. In this chapter, efforts are made to achieve quantitative accuracy assessment of the modeling and simulation of SCPPS for a conventional collector. The experimental exploration is based on particle image velocimetry (PIV) to provide experimental values for our finite volume based CFD/CHT results. The results of verification and validation of the CFD/CHT analysis are reported. The third chapter of this research addresses the second patented idea regarding applying inflatable towers on solar collectors. Mathematical and computational analyses were conducted. Also, an experimental apparatus was designed and fabricated in 2014 at the University of New Mexico for different testing and evaluation approaches. The results of this validation and the prototype are available in Appendix B. As mentioned before, Part II focuses on combined air Brayton cycles. Chapter 4 reports the study and modeling of our third patented idea, applying surplus heat from a nuclear power plant to the SCPPS. In the proposed combined cycle, we replaced the power plant cooling tower with SCPPS. Therefore, SCCPS serves the function of a dry cooling tower, and also produces additional electrical power in this novel combined nuclear-solar cycle. By applying this idea, it is possible to increase the thermal efficiency of a typical 1000 MW nuclear power plant (35.5%) to 41.4%. The last chapter is focused on a combined nuclear air Brayton cycle to increase the output power of a 50 MW small modular liquid metal/molten salt reactor. Since the major cost of nuclear electricity is the capital cost of plant construction, the concept of small modular reactors has won favor as a method of improving cash flow and minimizing the time required to bring new generation on line, reducing interest expenses. Considerable power increases are predicted for nuclear air-Brayton systems by Co-Firing with hydrogen before the power turbine.